Escape to an island. Yes, it’s doable from Los Angeles, in 15 minutes by helicopter or 60 minutes by boat. The destination? 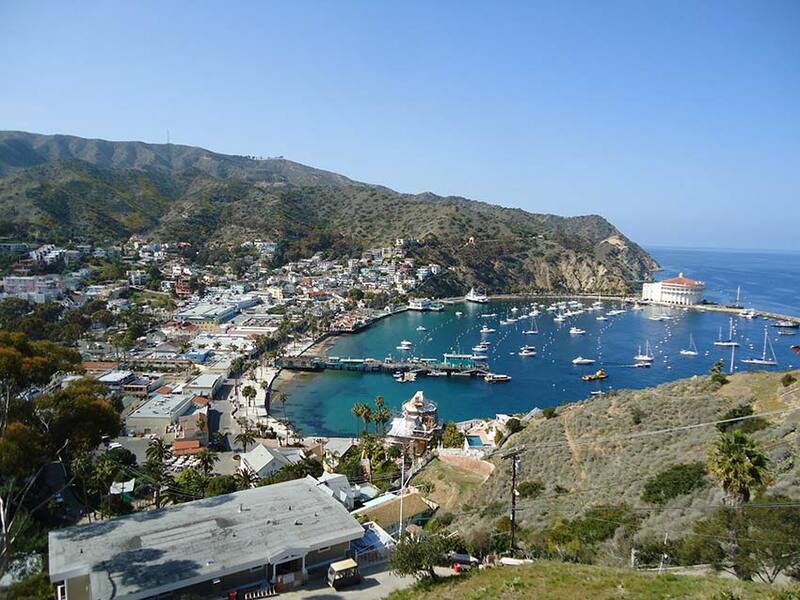 Santa Catalina Island, of course. What is there for lovers to do on this car-free paradise? Revel in Catalina’s bounty of unspoiled beaches and hidden coves amidst frolicking bottlenose dolphins and sunbathing sea lions. Oh, and enjoy idyllic accommodations, restaurants, historical landmarks, attractions, and activities. 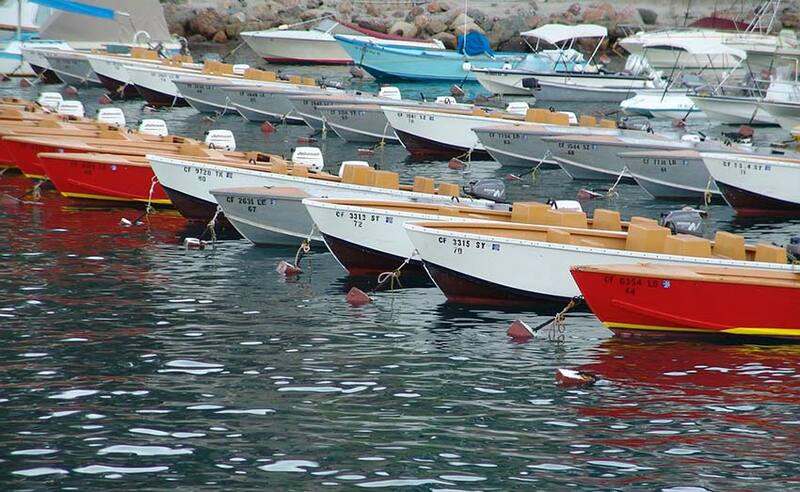 Just 22 miles off the coast of Los Angeles, Santa Catalina is part of the Channel Islands archipelago. Take-off points from San Pedro, Long Beach, Dana Point and Newport Beach make it easily and quickly accessible. The island is approximately 76 square miles, so visitors get around by red trolley, golf cart, bicycle or hoofing it. An ideal way to get a private golf cart is with guest accommodations at The Inn on Mt. Ada. Springing from a love story of its own, the Georgian Colonial mansion was built in 1921 by then owner of Catalina Island, chewing gum magnate William Wrigley, Jr., for his wife, Ada. 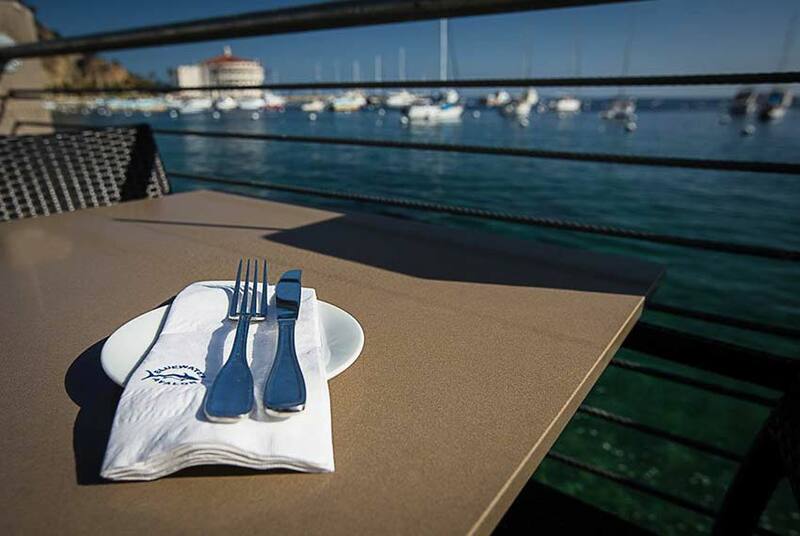 Sitting 400-feet above the Pacific, The Inn offers sweeping views of Avalon Bay. There are six guest rooms to choose from at the award-winning bed and breakfast. Though each offers its own charm, along with fireplaces and balconies, canoodlers may favor Bethany Glen with its view of Lovers Cove. Another option for getting up close to this scenic outlook is via a glass-bottomed kayaking expedition. As unforgettable experiences go, many can be had at Avalon Underwater Park at Casino Point, be it while snorkeling or scuba diving. Dive into an otherworldly kelp forest to spy sea creatures that make their home here, among them bat rays, octopus, sea urchin, sea cucumber, horn sharks and Garibaldi. There are several wrecks in the area for exploring, too, though permission is required from the Harbor Master. Other ways to spend time on the Pacific: stand-up paddleboarding, parasailing, fishing, sailing… the choices are endless. Land adventures also await, as does Catalina’s famous wildlife, from bald eagles to bison. In easy walking distance is the Wrigley Memorial & Botanic Garden, a Mecca for California endemic plants. Here, maps and permits for hikes can be obtained. One that starts off from the memorial itself is the Garden to the Sky Trail. This signature hike promises panoramas extending from the San Gabriel Mountains to San Clemente Island. Stay for the sunset, or… return to The Inn at Mt. Ada to soak in watercolor views over international vintages and appetizers. The night is young and more toasting is called for over dinner. There are many venues in Avalon for romantic tête-à-têtes including Bluewater Avalon, Ristorante Villa Portofina, Avalon Grille and Steve’s Steakhouse. 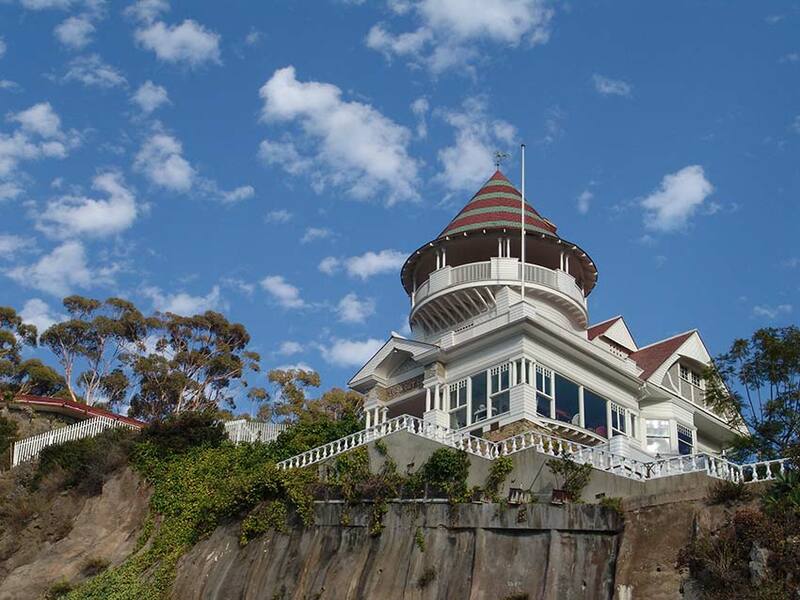 Stay out late for a beach party/concert at Descanso Beach Club, or head over to the historic Catalina Casino for a pipe organ performance and a movie. As for happily ever afters? Those continue just outside the door on this utopian island.